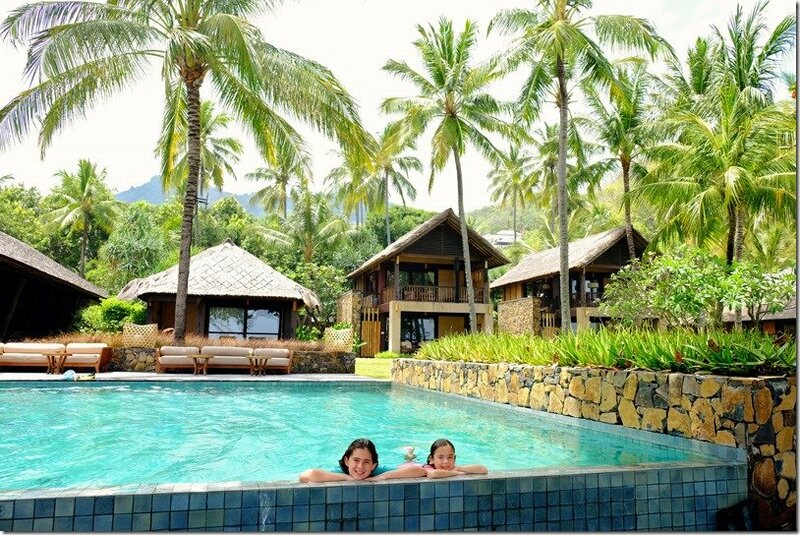 One of the many things we love about Lombok is that you can find luxurious resorts at affordable prices! If you are craving a luxurious holiday, I give you Jeeva Klui Resort, Senggigi. This is our favourite 5 Star accommodation in Lombok for couples as well as for those looking for the best of all Lombok family resorts! Why do we love it so much? Find out below as we share more about this resort in our Jeeva Klui review. The Absolute Best Things to do in Lombok Island, Indonesia! Welcome to Jeeva Klui Resort, Lombok. This is exactly what you want to hear when you arrive at your resort, a resort where your relaxation and satisfaction is their number one priority. The staff of the resort is amazing! The friendliness and genuine care is something you will notice right from the start. Everyone remembered our names all throughout our stay, which made our stay even more pleasant and so very personal. A welcoming drink is provided to quench your thirst and a wet towel is given to wipe away the sweat from the Lombok heat. The ease of check-in is flawless and soon you are escorted to your private villa. 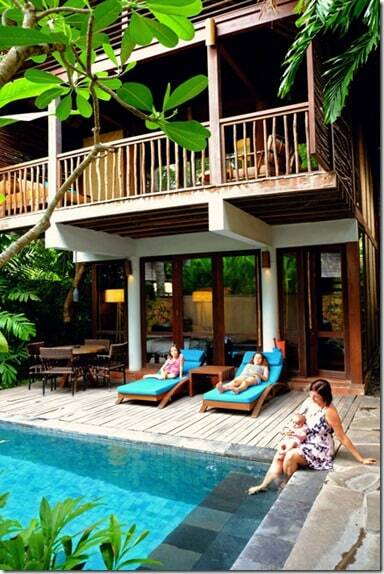 We had the pleasure of staying in one of the deluxe pool villas here at Jeeva Klui Resort in Senggigi. They also have gorgeous ocean-front villas for couples and honeymooners as well. There is nothing better than to have privacy when you are on holidays with your loved one or with your family. Privacy and luxury, the perfect combination! Plenty of space to breath, plenty of places to unwind, all within a calm, soul-soothing environment. Our villa had two stories and a decent-sized private pool to enjoy. You can rest upon your poolside beds and soak up some sun as your little ones run a muck in and out of the pool. 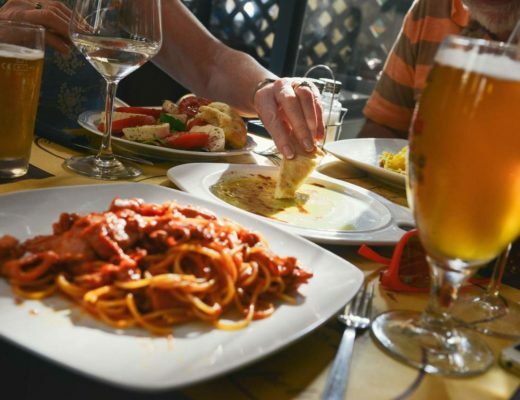 Because we had a baby, we also made use of the room services and enjoyed a few of our meals here on our outside patio. 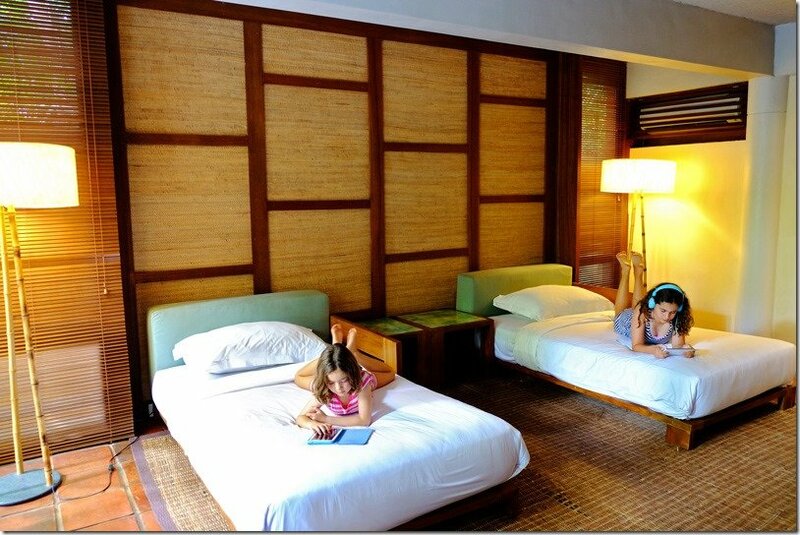 Indoors on the ground level, Katie and Lily had their own room with two super comfy king single beds. For entertainment, they enjoyed a movie marathon on the massive flat screen TV. The selection of DVDs for hire is extensive at the resort. There is an ensuite bathroom downstairs with two sinks and an outdoor shower and a stone bath as well. As to the parent's room upstairs? We absolutely loved it! I think I stared at the ceiling a lot whilst relaxing on the comfy king size bed. I loved the high ceilings and the lovely spacious room. It’s like your brain can release your thoughts more freely and let the relaxation pour in. We felt so relaxed here! 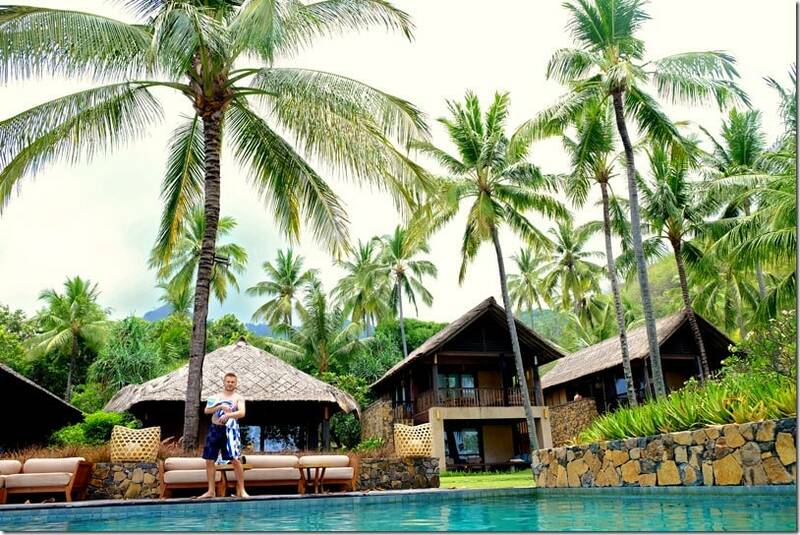 Best resort in Lombok and the best villas in Lombok for sure! The master bedroom looks out onto the balcony. Here you can enjoy an afternoon coffee whilst looking over the trees and at the same time look after your kids swimming in the pool. 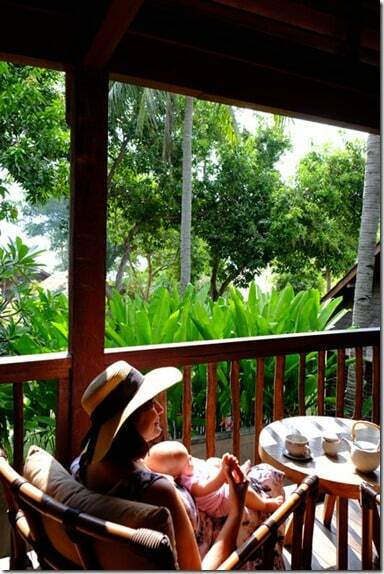 Click here to see the latest prices to stay at Jeeva Klui Resort. 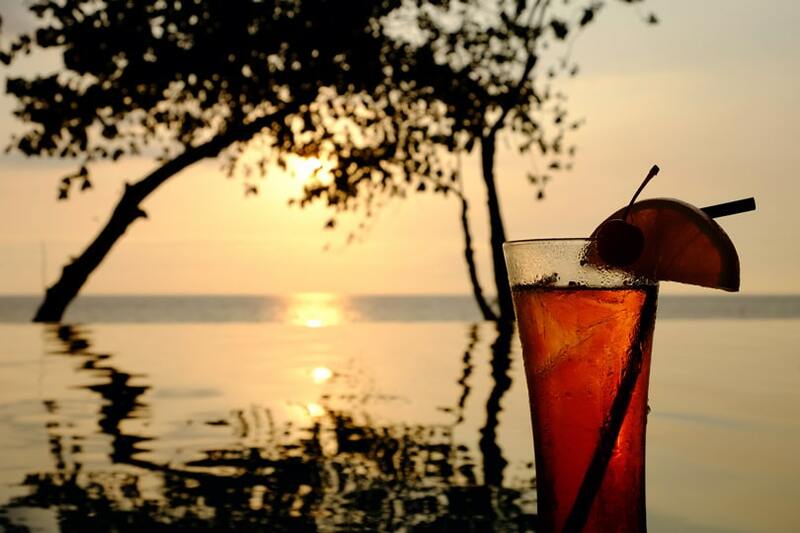 There is nothing better than relaxing with a cocktail in an infinity pool. Peaceful & blissful are just a few words I can use to describe my feeling here. 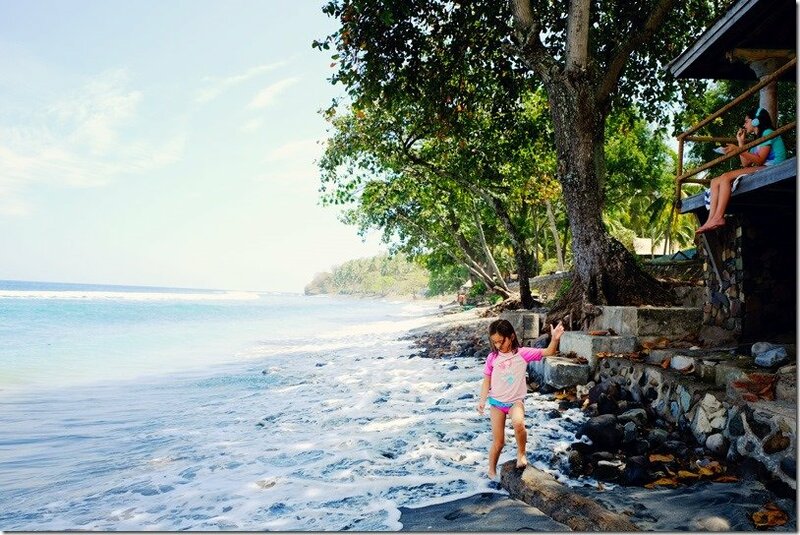 As you enjoy the surroundings and let your brain switch off to relax mode, your kids will find hours of fun splashing around in the shallows. Perfect! When we were at Jeeva Klui, there were at least four families that we befriended, all with young and small kids. We loved that the resort was so family-friendly. 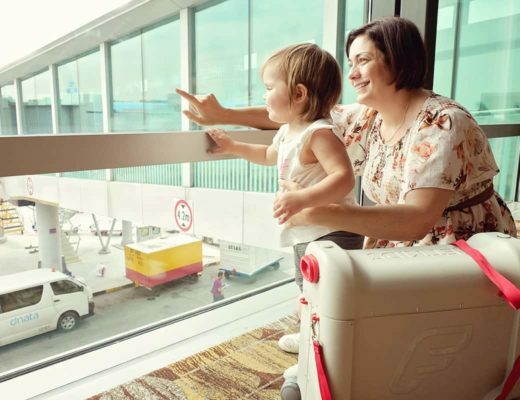 Quick tip; you can hire flippers and snorkels from the reception so your little ones can practice snorkelling in the pool before heading for the ocean to spot some coral. Another favourite activity of ours? Make sure to pop over to the poolside before the sunset. Book your beach-side table for dinner and enjoy your pre-dinner drinks from the poolside daybeds. The sunsets are stunning here and you will regret missing out on them! Exclusive Adult-Only Pool, sounds good to me. Quiet cocktail with your partner and no distraction from the little ones. Swim or just chill out in the adults-only pool and recharge your batteries for another day of doing nothing. Haha… Yes, please! Everyone needs a little time to yourself in an adult environment and with adult chats, right? 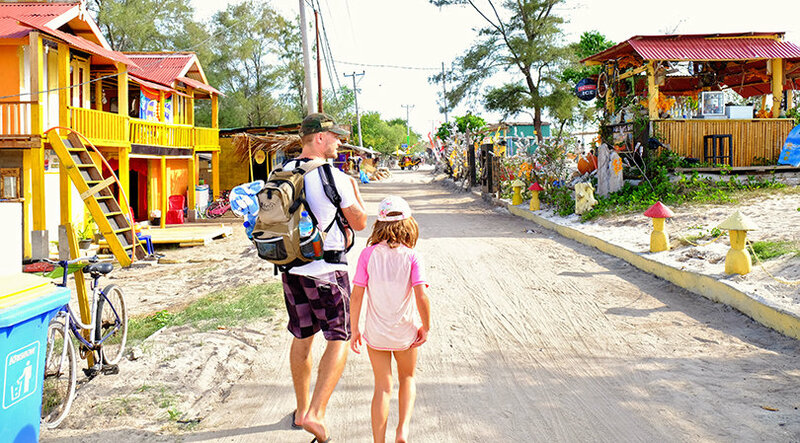 Don’t worry, the resort has a lovely babysitter that you can book to look after your kids for a while … and then you can unwind without the stress of what the kids are doing. Just relax, sounds good. Damn straight it does! 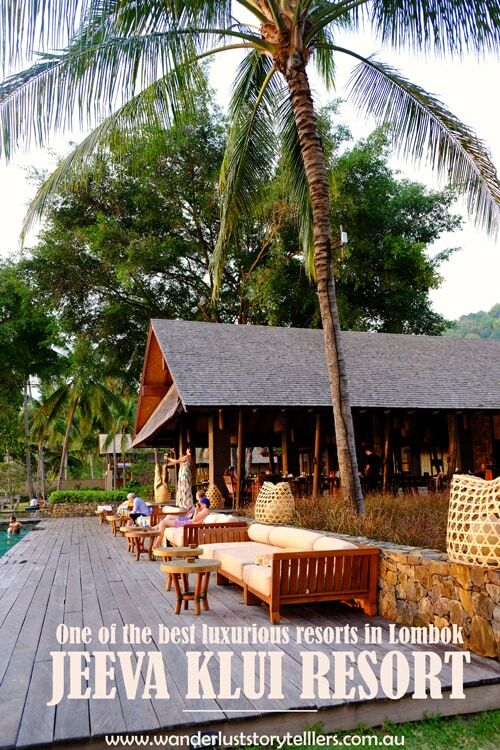 We loved chilling out at the little pagoda right at the edge of the resort's private beach. You can lay there for hours. All you need is a couple of towels and some sunscreen. Drinks and food can be ordered to your beach-side lounger and all you have to do is choose from the extensive list of goodies on offer. We indulged in some yummy cocktails and delicious pizzas for munchies. Doesn’t get any lazier and better than that. No one complained here. If the kids didn’t want to lay around like us, they had a choice of colourful rock collecting, swimming in the pool, playing volleyball, or simply using their tablets to play some games. Everyone was so totally happy here. Lily and I went for a walk to see what was happening down the beach and we said hello to a few friendly locals enjoying their family outings to the beach at the opposite end to us. Also, we spotted some fisherman throwing nets to catch some fresh seafood. OK, so when you want to really relax and spend a couple of hours in total relaxation together with your other half, you can book into the luxurious resort spa. Here you can indulge in a choice of amazing massages, or pamper yourself at the resort beauty salon. We didn't get around to trying them out, as we were totally happy to simply laze around the resort-grounds. Through the stomach to the heart! At least that saying is totally spot on for me. It is always nice to go away on family holidays and to not have to cook at all. 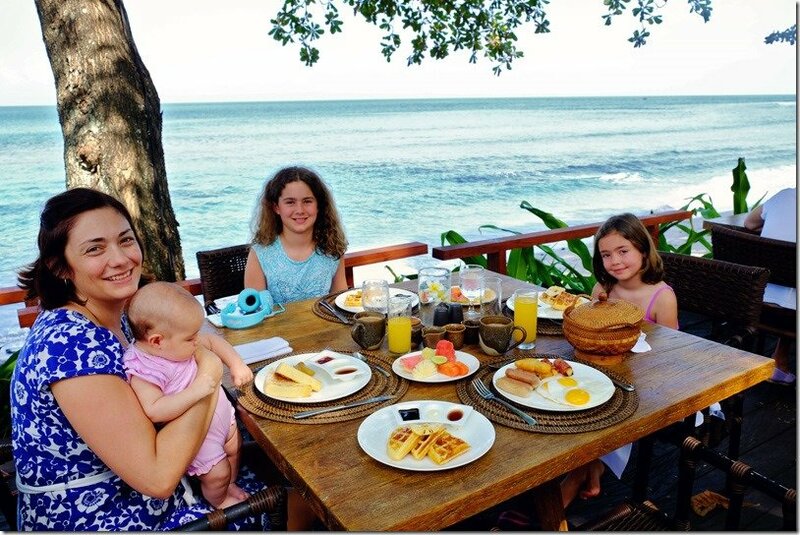 Whether it is a breakfast or a sunset dinner, it is always better with a view of the beach. There is no place better to enjoy your delicacies than in the open air with the sound of crashing waves. The restaurant at Jeeva Klui is amazing and the chef in this kitchen deserves some sort of award as well. There is nothing that these guys didn’t have or couldn’t do. We loved all of our meals at the resort. 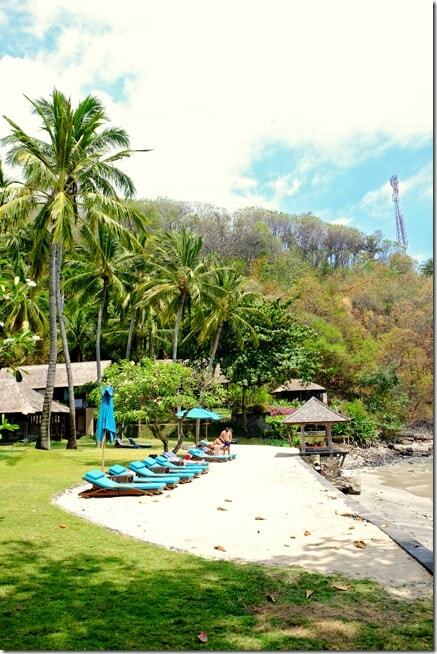 Jeeva Resort, Lombok has a wide variety of activities and excursions on offer. You can check out the list right in your room or organise them at the reception with one of the friendly staff. Choices here are plenty. You can hire snorkel gear and flippers and venture out to the shallow waters of the private beach. You can organise a cooking class to learn how to cook some of the traditional Indonesian dishes. You can pick from sports gear and play volleyball or other games if you wish. Or you can go on some day tours to explore Lombok past the resort walls. 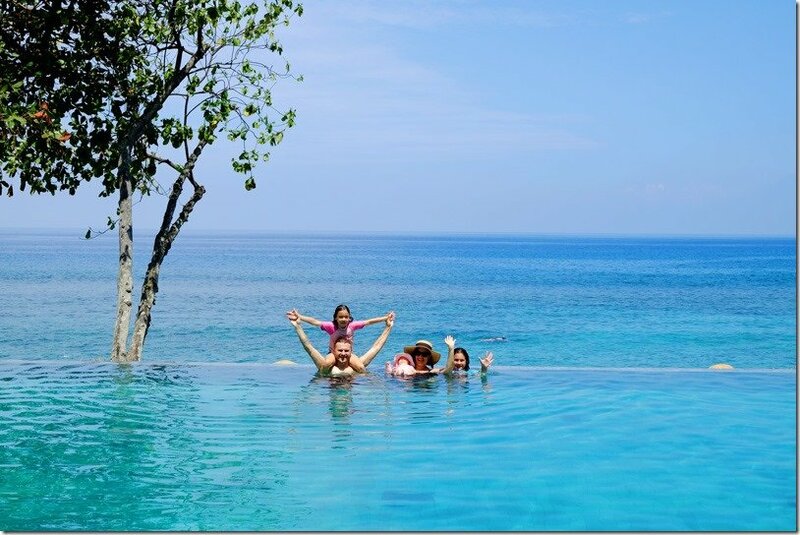 I am sure that some of the activities will grab your attention and you will love Lombok island just like we do! … you love luxury and total relaxation. … you love privacy and class. … you love the beach and infinity pools. … you love palm trees and sunsets with cocktails. … you love amazing 5-star food. … you love to snorkel and explore. … you really want to spend unforgettable moments with your loved one! Jeeva Klui is one of a kind! This is one of the places that my mind will always remember as one of the favourites. It is definitely the favourite and the best place to stay in Lombok, by far! There are only positive thoughts in my mind, beautiful memories and smiles on our faces. The experience at this amazing resort was truly awesome and unforgettable. All I can say, to finish off my post is; click on the link below and book this one in! Your amazing time awaits you! Costs of Rooms: Rooms start from AUD $205 p/n or US $156 p/n – This includes a delicious and yummy buffet breakfast each morning as well as a complimentary afternoon tea. 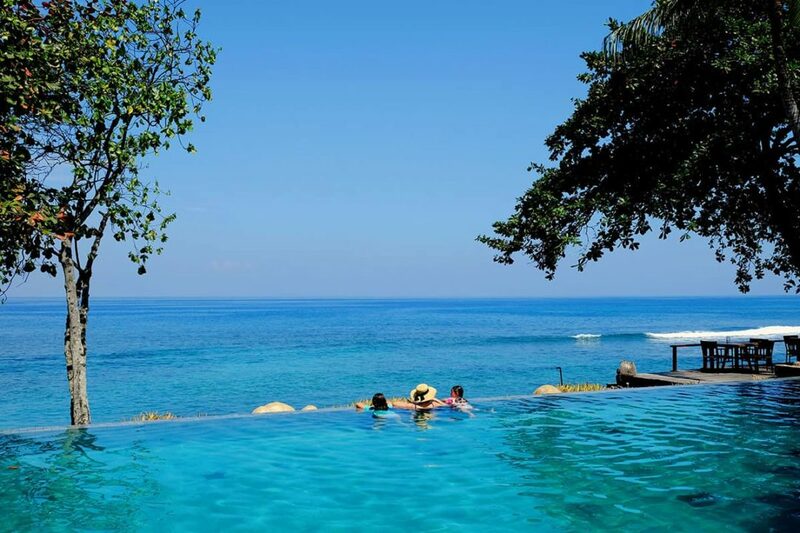 Where: Jeeva Klui Resort is located in Senggigi West in Lombok. The resort is located around 1.5 hours drive from the International Airport. * We stayed at this resort as guests of Jeeva Klui Resorts. All thoughts, opinions, and experiences are our own. We pride ourselves on delivering honest hotel reviews. I had a memorable stay at Jeeva Klui back in 2014. Hi Jon, thanks for sharing your love for Jeeva Klui with our readers. We love this resort, hope we can go back for a return-stay in the near future.